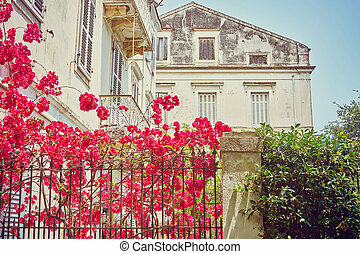 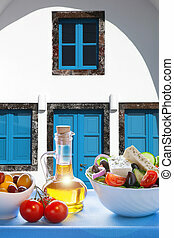 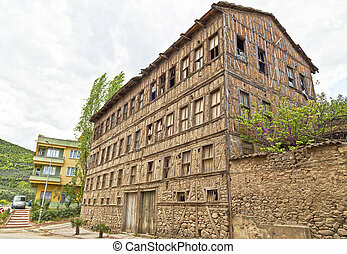 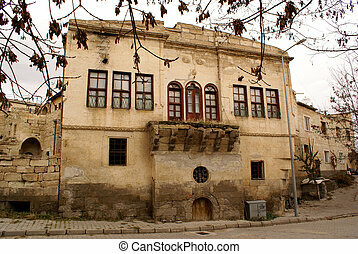 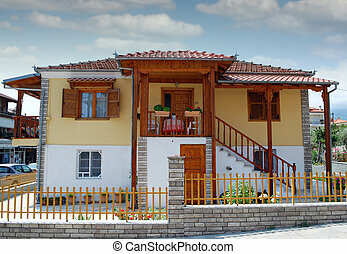 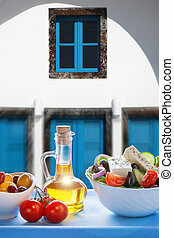 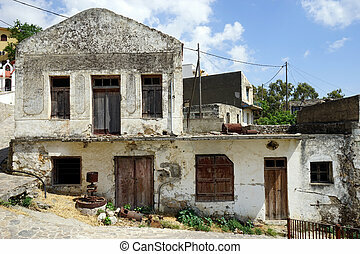 Old greek house. 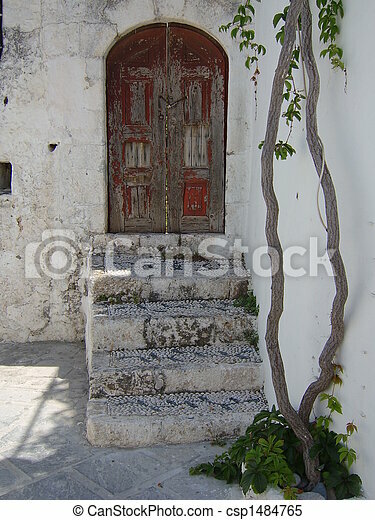 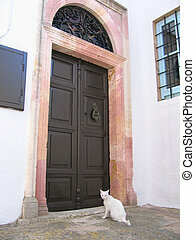 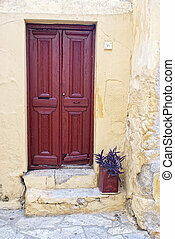 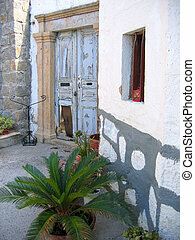 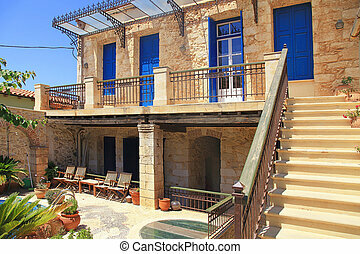 Old greek house with weathered door and pebbled steps. 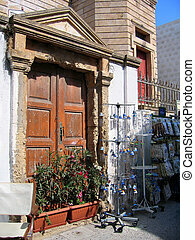 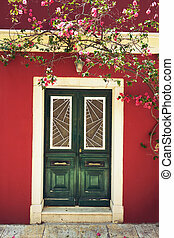 Door and flower pot of an old Greek house.